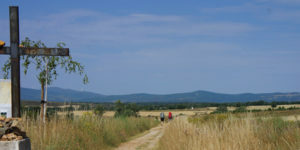 The Camino is dotted with interesting historical sites. These sites are a wonderful chance to recharge your batteries and immerse yourself in the history of the trail. 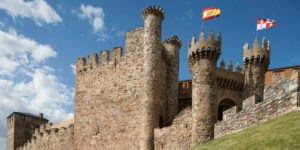 One of our favourite examples is the Templars Castle (Castillo de los Templarios) in Ponferrada, which is the last big town on The Camino Frances before Santiago. The castle is enormous in size and the architecture is stunning. It was designed in a polygonal shape, with double and triple defences, making it an absolute fortress. 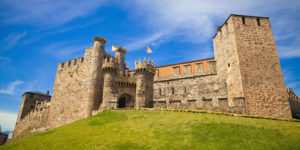 As you marvel at the giant walls, you will travel back in time to a medieval period where Spanish Knights roamed the outskirts of the structure, protecting the town. 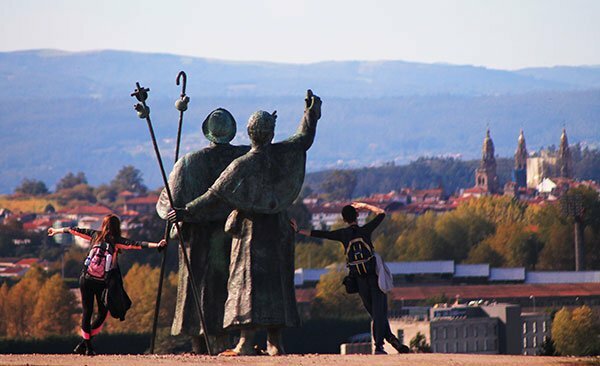 The Templars Castle was constructed by Ferdinand II in 1178 AD to protect pilgrims walking the Camino de Santiago. The castle was named after the famed Knights of Templar who protected the town in the 12th centuary. The Knights were a fearsome unit, and one of the most skilled during the crusades. Having changed ownership a number of times, the castle is now owned by the King of Spain. Restoration work is ongoing at The Castle and some of the defence mechanisms have been removed. This does nothing to dimish it’s beauty however, and it’s easy to see how it would have intimidated would be intruders over the years. You will see two flags flying proudly over the castle. The first is the Spanish flag which is instantly recognizable. The second flag represents Castilla y León, an autonomous Spanish community, which Ponferrada is a part of. The castle was recently opened to tourists and is well worth a visit. There is a small fee for entrance but a huge discount is applied for pilgrims! An audioguide is available which narrates your journey through the inside of the building. 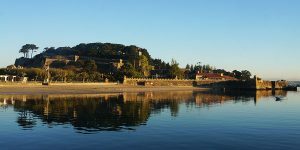 After visiting the museum you can make your way to the top of the castle and enjoy wonderful views of Ponferrada accros the river Sil. The castle also hosts the Templars library which is home to over 1,400 books. This National Historical Artistic Monument boasts work from Leonardo da Vinci among its impressive collection.